Are you looking for a plotter printer? Then you are in the right place. We here at Global Office machines have the most cost-effective solutions for your needs. Plotters are amongst the primary choices for design professionals due to their ability to print in large formats, making design concepts a lot easier to visualise and communicate. They are ideal printing machines to have if you need to print out photographs or other images in sizes larger than A4 or A3, which cannot be realised using conventional printers. 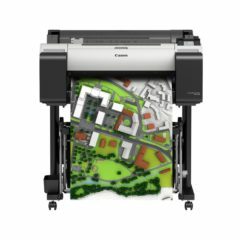 However, the functions of a plotter is not only limited to printing large format images. It is also an effective tool for project management to keep daily tasks and communication going. For example, it is used by many businesses to print out detailed cross-departmental campaign plans or huge spreadsheets that cannot be scaled down to fit a standard print size. By investing in this type of printer, you will not be wasting time piecing together small sheets, while getting high-quality, professional print-outs. With a huge range of HP DesignJet plotter printers, as well as KIP colour and mono multifunction machines, we have here at GOM, you can assure yourself that you will find exactly what you are looking for. We will talk with you from the buying stage to installation to ensure your printing process is streamlined. We have a wide range of branded plotter printers for sale, from small home-office models to juggernaut machines, which can power mass printing requirements with duty cycles of tens of thousands of pages per month. 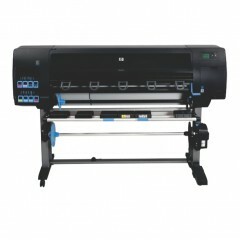 At the same time, we also sell various types of printer and large format paper to fit your new printing machine. Browse our selection of new and refurbished printers for sale below.